The Euro-Med Youth programme is one of the regional programmes set up in the third chapter of the Barcelona Process entitled « partnership in social, cultural and human affairs ». This third chapter of the declaration proposes a permanent dialogue between young people from the Euro-Mediterranean partners. This will help to foster mutual understanding among the people of the region, to integrate young people into social and professional life, and to contribute to the process of democratisation of the civil society. 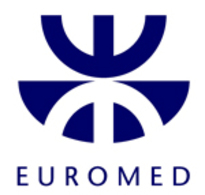 Under the EuropeAid Cooperation Office and the Directorate-General forExternal Relations, the implementation of the Euro-Med Youth programme is regarded as a main priority which also falls under other priorities featuring in the Youth in Action programme, such as the fight against racism, discrimination and xenophobia, a facilitated access to the Programme for young people with less opportunities, dialogue with other world cultures and the promotion of a greater mutual understanding between European countries and the rest of the world. Supports and strengthens the participation and contribution of youth organisations and youth from the Euro-Mediterranean region to the development of society and democracy, and promotes dialogue and understanding.